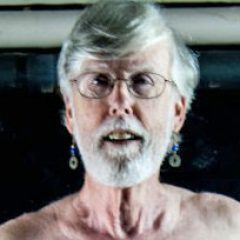 A weblog by Robin Hawley Gorsline, Queer theologian and poet, husband, father and grandfather, friend, citizen and activist—on a journey in search of embodied, soulful truth for myself and the world. I have now seen “Sorry to Bother You” (see previous post, “When Do I Use My White Voice?“), a film that in my judgment is a powerful commentary on white supremacy and capitalism—and a superb creative achievement. There are so many powerful, often disturbing moments in the film that is hard to know where to begin. So I will begin with something that happened to me as I sat in the theater watching. At some point, I don’t remember exactly when, while the screen images dominated the room, I also saw, in mind’s eye, faces of African American friends and colleagues in ministry (clergy and lay people). I felt a sense of awe at how they navigated the white dominant world we share. These are people of considerable achievement and strong personal character, wise people, clear-headed people, who have made a difference in my life. In linguistics, this also is known as “code switching.” Check out this video, “Is ‘Talking White’ Actually a Thing?” to learn more. I teared up, realizing I had never thought about the price this dear friend and colleague as well as so many others in my life, and everywhere, have to pay. White supremacy is revealed by that necessity. But it also is confirmed in its power by the very fact I, with some real background in studies of racism and whiteness, had never had to think about what they go through. Here are some parts of the commuting map: white voice, white mannerisms, paying attention not only to using the best English but also body language, and tone of voice and even volume. That does not even begin to deal with subject matter—how this friend and others are aware of just how far they can go in describing the pain and anger they have to carry, not only for themselves but also for all the other people in their family, social or religious group, neighborhood, professional orbit, and the world. All this is revealed in this film through the experience of Cassius Green (powerfully performed by Lakeith Stanfield–certainly deserving of Oscar consideration). This young African American man needs a job. He finds it working for a telemarketing company. His job interview was very odd because it seemed the company would hire anyone. Later, I realized that this signifies how little they think of their employees. Cassius was just another cog in their master profit wheel. He fits into their money-making system because he needs money. They need him to make them money and he needs them to make his. The filmmaker, Boots Riley, has, in interviews, made it clear that he wrote and directed a film to focus on both racism and the ways it is linked to capitalism. The title of the film reflects how Cassius begins every call, but it is at the same time an evocation of the system of whiteness that insists that “we” not be bothered to hear the cries and anger of people of color. Over the years, I have heard people say to me, and others, “You may not want to hear this, but . . . “ then going on to describe something I, or another, did or said that was insensitive or worse. Sorry to bother you. But the power of whiteness is much bigger than denial and refusal to hear or see. It also involves setting the rules for how people of color are to not only speak but also act. There are codes, and they have power. Cassius shows us at a party, thrown by the owner of the company he works for, that there are times when Black people are called upon by white people to perform their blackness (he is taunted until he does rap for the assembled white people, something he really doesn’t do well). He also discovers through his seat mate in the office (played by Danny Glover) that his white voice on the phone is not exactly how white people sound, but “what they think they’re supposed to sound like.” In other words, it is a caricature designed to avoid causing discomfort for white customers. And Cassius learns to do that so well (in the film it is a voiceover by actor David Cross) he becomes highly successful, and thus a favorite of the corporate hierarchy. What this says to me is that whiteness is a performance, not only by people of color but also by white people. This is especially so in the worlds of finance and various professional and public environments. And of course, there are always class distinctions. The brilliance of this film is that it shows us all of that. In that sense, this is a film that unsettles us, white people, both because of racism and capitalism. Indeed, historians, especially Edward E. Baptist, show us that from the very beginning of our national experiment, capitalism and white supremacy/racism are inseparable (see his The Half Has Never Been Told: Slavery and the Making of American Capitalism). What we see in the film are the high costs that people incur as they seek to rise financially—not only Cassius, but so many others. I won’t give away the many creative plot twists that make this film so distinctive, but I can say that we are shown how the alliance between corporate greed and personal need is disastrous for real people. There is violence in the film, although not the sensationalized violence we so often see of shootings, car chases ending in gruesome death, and the like. Indeed, it shows us how easy it is to become more beast than human as the pressure to succeed accelerates. In that sense, most everyone is a victim of a system designed to squeeze humanity out of the willing and the unwilling. I urge every white person to see this film—it will challenge you as it seems to go over the top at times but if you stay with it you will find deep wisdom. A final note: I have entitled this post “Sorry to Bother You,” because of the film and because I realize, given how few people in my intended audience for this series of posts that began with “Unlock the Trap – Part 1“ on May 4 seem to notice and how even fewer ever respond. Many of the white people in that audience probably wish I did not bring any of this up. Sorry to bother you. Actually, I am not sorry. Frankly, if we, “the relatively conscious whites” James Baldwin wrote about, do not let ourselves be bothered and challenged, things will never get better. Indeed, the power of white supremacy and capitalism, working together, just becomes more sophisticated, more lethal, and seemingly more hidden all at the same time. There are winners, of course, folks at the top seemingly, but even they pay a price. I for one want to stop paying it. I hope you will join me on the journey. Feel free to write me at RevDrRobin@comcast.net if you would like to share more dialogue, or post your thoughts on this page. Robin Hawley Gorsline on Why Can’t We All Just Get Along? Dr. Imani Woody on Why Can’t We All Just Get Along?